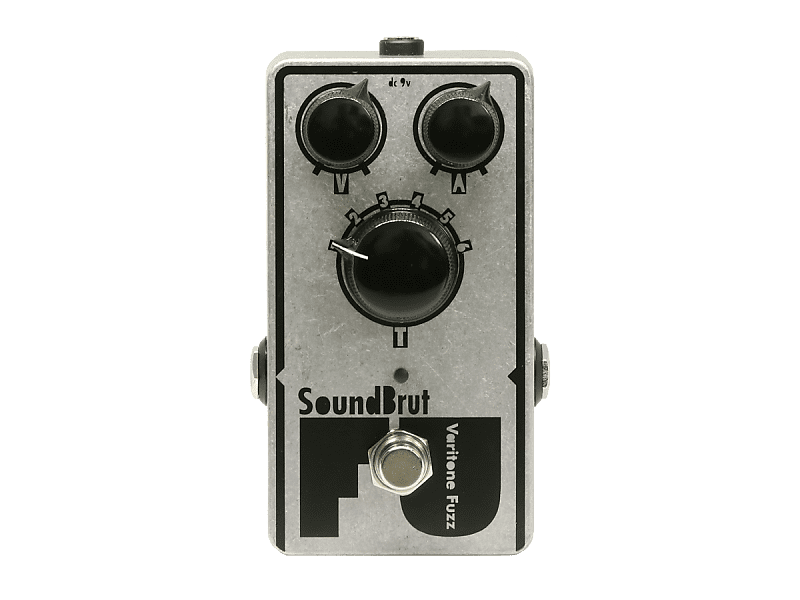 FU Varitone Fuzz is a modern voiced silicon fuzz pedal that incorporates SoundBrut's custom tone stack. Six specifically carved mid-cut voicings provide a variety of fuzz tones, ranging from fizzy to buzzy. 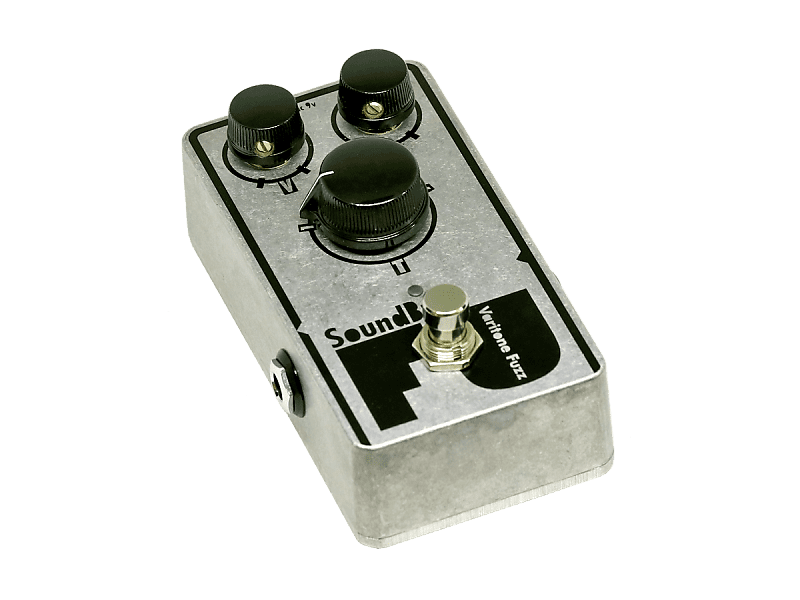 Silicon fuzz with volume, gain and tone control. Gain control ranges from sharp drive to well-rounded fuzz sounds. Chords maintain clarity, even at high gain settings. Specifically tuned 6-way varitone switch for 6 fuzz voicings. Input regulation that maintains a tonal stability before or after any other pedal. FU generates plenty of gain yet it can be tamed with the attack knob. While lesser amounts of attack create more clarity and punch, higher attack settings provide more rounded, sustaining fuzz sounds. Moreover, this pedal is also very much susceptible to the tone and volume knobs on your guitar. Depending on your pickup output, it is fairly easy to clean-up most of the gain. 6-way rotary (varitone) switch labeled as "T" provides various mid scoop positions with different treble and bass responses. From the position 1 to 6 not only you get more bass with different midrange characters but different gain structures as well. Lastly, an input regulator prevents FU to change its character regarding its position on your signal chain. So, you do not need to put it right after your guitar as in other vintage units.